Perfect for your fall front porch! 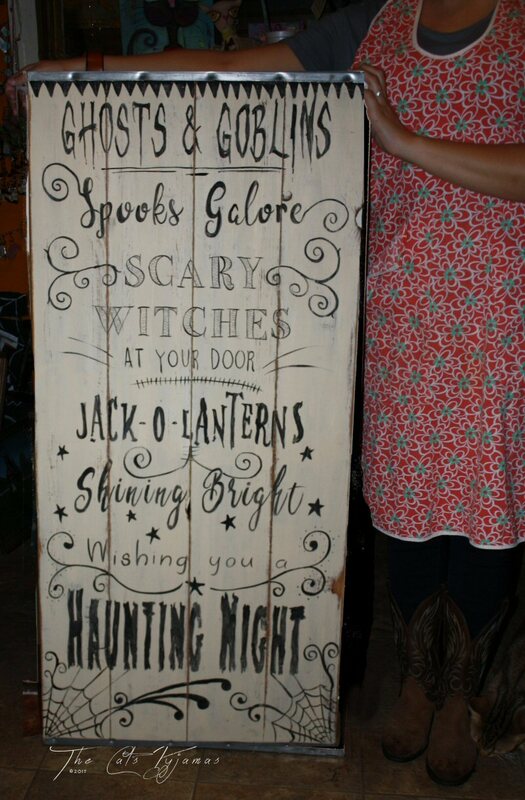 I painted the background buttermilk with black lettering & designs. This sign is HUGE! It's 47" tall x 21.5" wide. I didn't put a hanger on it because it's so big and heavy, but I had in mind to prop it somewhere, like your front porch! 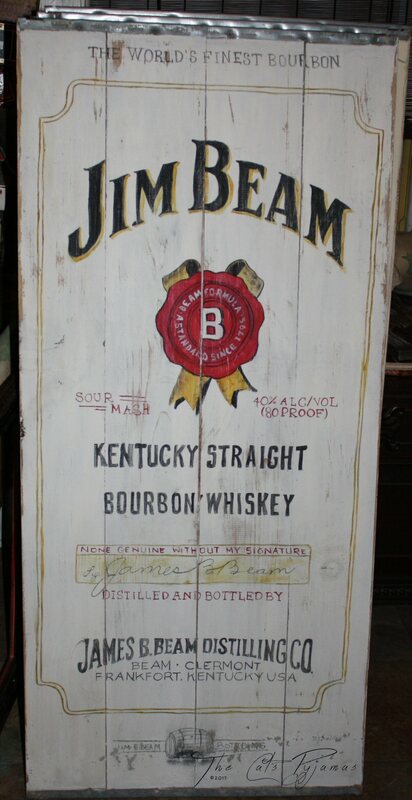 It's all hand-painted and a little distressed. This was a shelf from an old store that was remodeling. It's made of 4 boards attached on each end with a metal strip. It's pretty heavy, so shipping will be higher than normal. If you are local, you can pick it up. If not, if you'll email me first, I can tell you what shipping will cost so you won't get any surprises. 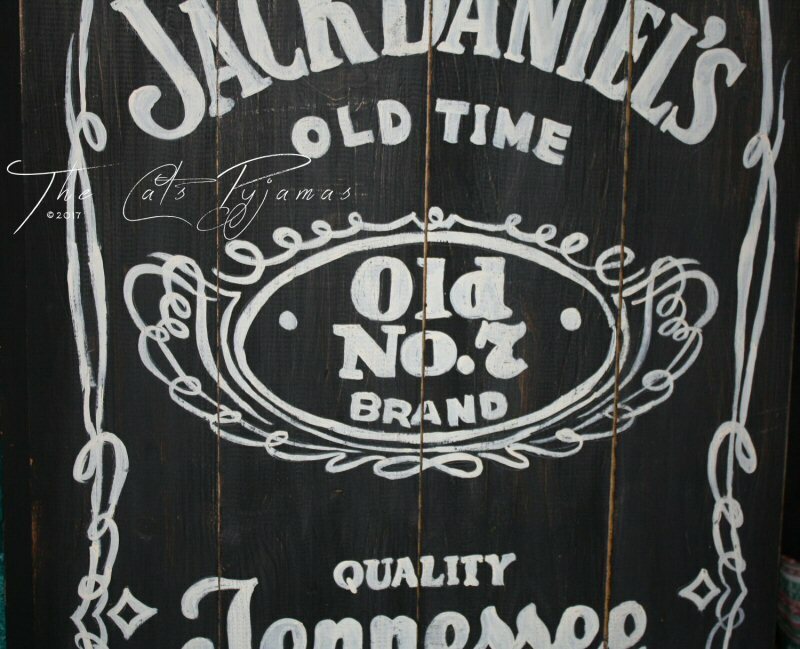 For the man cave... a hand-painted Jack Daniel's sign! Black with white designs. This is a great gift for that manly man that is hard to buy for! I apinted this background a light teal color with white wording & 3 little snowman at the bottom. I put a couple of layers of silver glitter over the letters. I think this is my favorite of my big signs! 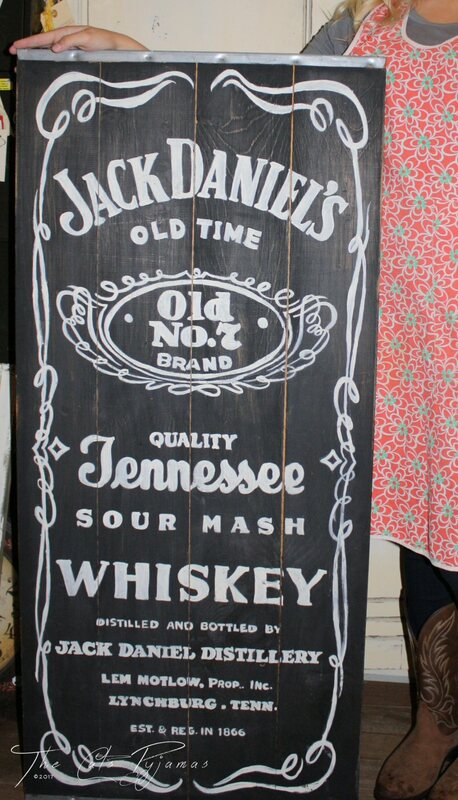 Made from recycled boards & hand-painted! 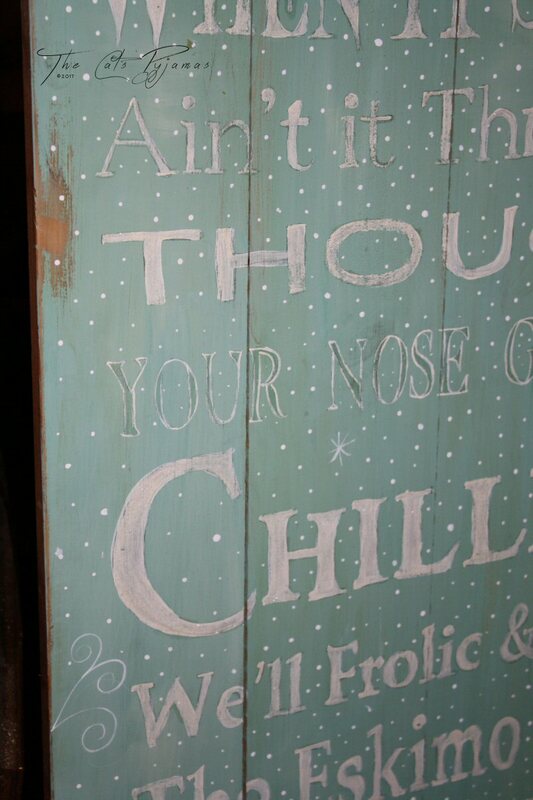 This sign measures 27.25" x 5.75". 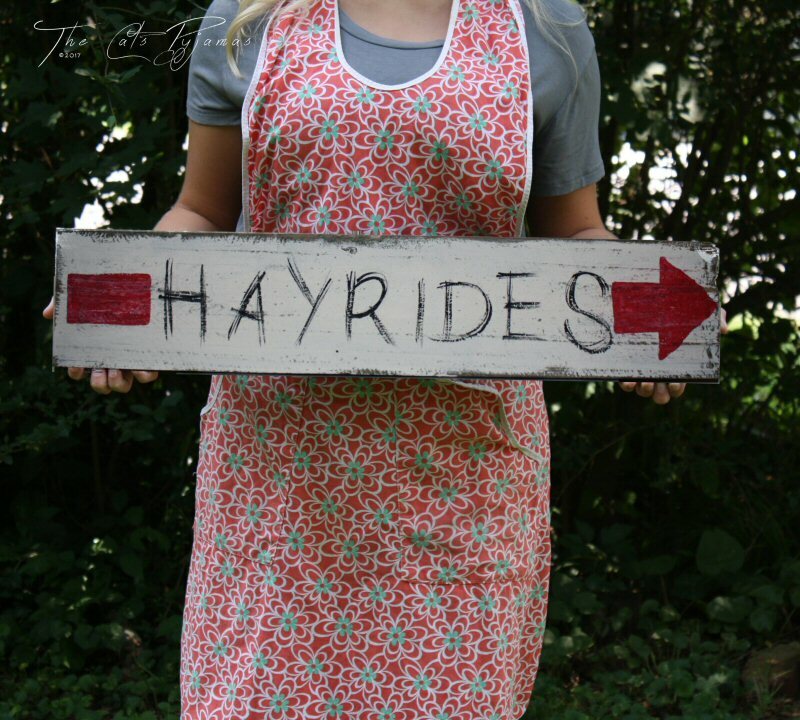 I painted it a light buttermilk color with black lettering & a red arrow. Comes with hangers on back or you could attach it to a sign post!